Is it possible to sleep like royalty on a budget? That’s the goal Gelfoambed set out to achieve with the company’s line of beds that aim to provide a luxury feel at an affordable price. A brother and sister team with decades of experience in the sleep industry have joined forces to provide their customers with quality products designed to suit their shoppers' exact needs. Our in-depth overview of the Miranda Halcyon will give you a close look at this product’s construction, materials, and features. We will also provide you with scores based on comfort, value, and other important mattress-shopping priorities. 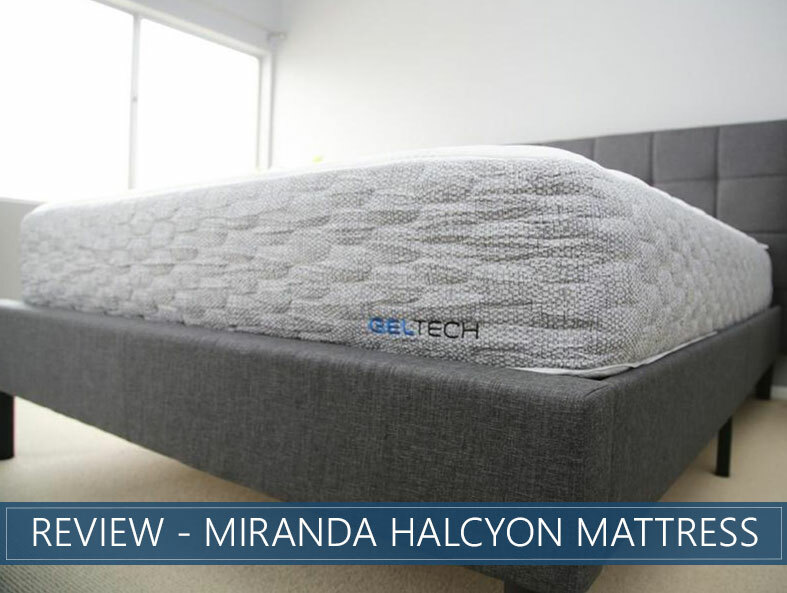 Read through the entire review below for our detailed analysis of the Miranda Halcyon bed and learn which kinds of sleepers we think this mattress is best suited for and why. Or skip straight to the end for a convenient recap of this product’s key features and our overall scores. Want a lot of motion control – This all-foam bed relies on multiple layers of foam to absorb vibration and minimize motion transfer. The low levels of bounce should help to reduce the amount of energy that is able to move throughout the mattress. Those with restless partners or hyper pets and children should experience fewer sleep disruptions. Like a gentle cradle – Because of the plush memory foam quilted into the cover, sleepers should sink into this comfort layer and experience a gentle cradling effect. The cradle and sink should be minimal as compared to traditional memory foam. This could help promote a cooler sleep experience and easy repositioning. Prefer a true Medium feel – Most shoppers should experience a true Medium while sleeping on this mattress. The Halcyon comfort layer should respond to body weight to provide pressure or support as-needed. The cooling gel inside should prevent overheating even as you sink through the plush cover, and the firmer support core should help to round out the feel, creating an overall Medium effect. Like a classic memory foam feel – Sleepers should notice a gentle cradle with minimal body contouring. Traditional memory foam often presents with a deep hug. Those who prefer more contouring and hug may want to check out Gelfoambed’s Venus Halcyon mattress. 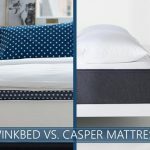 Or you can browse through our list of top rated beds for 2019 right here. The Miranda is an all-foam, bed-in-a-box product. This mattress should work well on any flat surface, including adjustable frames. Proprietary frames are sold through the company’s website. The cotton cover has 1.5 inches of Gel Infused Memory Foam quilted into to promote a plush and cool sleep experience. The Miranda is 12 inches tall. The top layer contains 3 inches of Halcyon Foam. This material is infused with air pockets to promote adaptive pressure relief. The foam should compress or remain firm depending on weight concentration and sleep position to provide enhanced comfort. The middle layer consists of 2 inches of Eco Flex, 1 inch is Soft and 1 inch is a Medium comfort level. This layer acts as a transition, providing comfort and support while separating the sleeper from the Firmer support core below. The bottom layer is comprised of 5.5 inches of high-density Eco Flex. This layer should feel Firmer and should provide overall stability for the comfort foams above. This should also help to round out the overall Medium feel, providing a Firmer counterpoint to the Soft comfort foams above. We rank the Miranda as 5 on our Firmness scale where 1 feels marshmallow soft and 10 solid as a brick. This rating makes this bed a true Medium, a universal comfort level that most sleepers should enjoy. You should notice an immediate sinking feeling as the plush cover gives way beneath you. You should experience minimal cradling and gentle pressure relief. This should help provide pressure relief while allowing air to flow around the body to promote a cooler sleep experience. There should be very little bounce to this mattress. The foams are, however, quick to respond and reshape easily as you move around. This should help to promote easy repositioning, which combination sleepers should enjoy. Most back sleepers should experience solid lumbar support from the gentle cradle of the upper layers of foam. Most stomach sleepers should find the Miranda supports the hips well and prevents the spine from becoming misaligned. There may be some sinkage into the plush cover, but the Firmer foams beneath it should provide enough support for most of these shoppers’ needs. Side sleepers should find the plush cover gives way enough to remove pushback in heavier areas such as the shoulders and hips. The adaptive foams should compress as needed to promote pressure relief. Those who do prefer a Softer experience may want to check out the company’s Soft Venus Halcyon option. 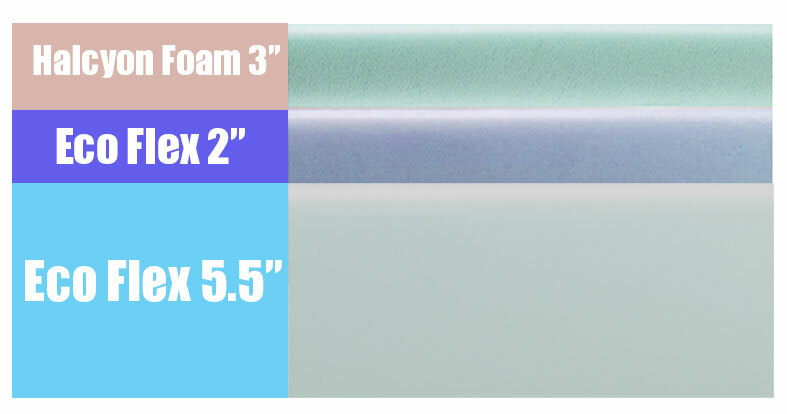 Gelfoambed recommends a weight limit of 350 pounds per person or 700 pounds for the entire bed. The thick layers of foam should minimize most motion transfer by dampening and absorbing energy to prevent vibrations from traveling across the mattress. This should allow for a peaceful sleep experience free from disruptions due to restless partners or pets. You may notice higher than average edge support when lying on the mattress compared to other foam bed-in-a-box brands. This should help make the bed feel a little larger, which should be a benefit to co-sleepers and sprawlers. A deeper compression may be noticed when sitting at the edge, but this is normal and not necessarily a dealbreaker for most shoppers. Trial Period – The trial period for this mattress lasts a full 365 days. Shipping – This bed ships for free in the United States. CertiPUR-US® Certified – The foams in this product are certified to be free of harmful chemicals like formaldehyde. Charitable Donations – Gelfoambed works to donate returned mattresses to those in need. The Miranda has a universal true Medium feel that should provide pressure relief and easy repositioning for most sleepers due to the company’s unique, air-pocketed foam. Gelfoambed wants to provide their customers with a great night’s sleep without breaking the bank. Their proprietary air-infused foams create a product that’s both supportive and comfortable with adaptive pressure relief that conforms itself to suit your needs. Miranda’s true Medium feel, plush and inviting cover, and convenient 365-day trial period should make this product a stand-out on anyone’s mattress-shopping wishlist.